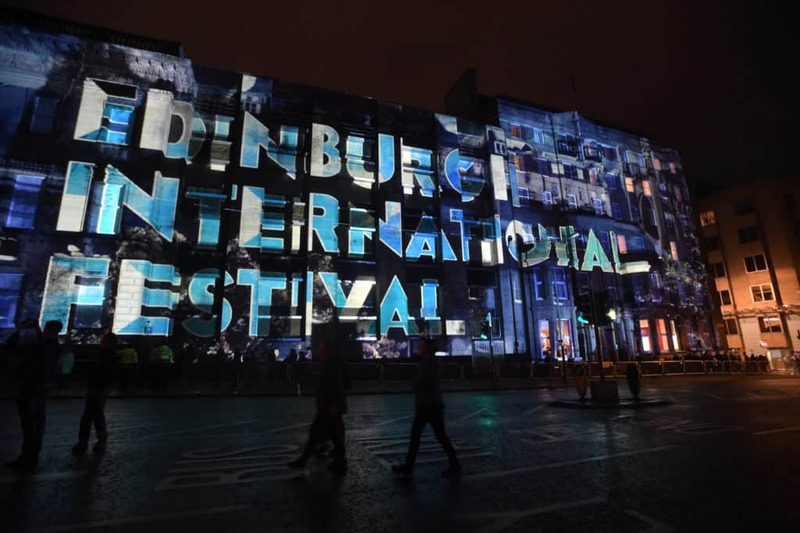 Way back in 1947, Sir John Falconer – Lord Provost of Edinburgh and the International Festival’s first Chair – spoke of his ambition that the inaugural Edinburgh International Festival should ‘provide a platform for the flowering of the human spirit’. 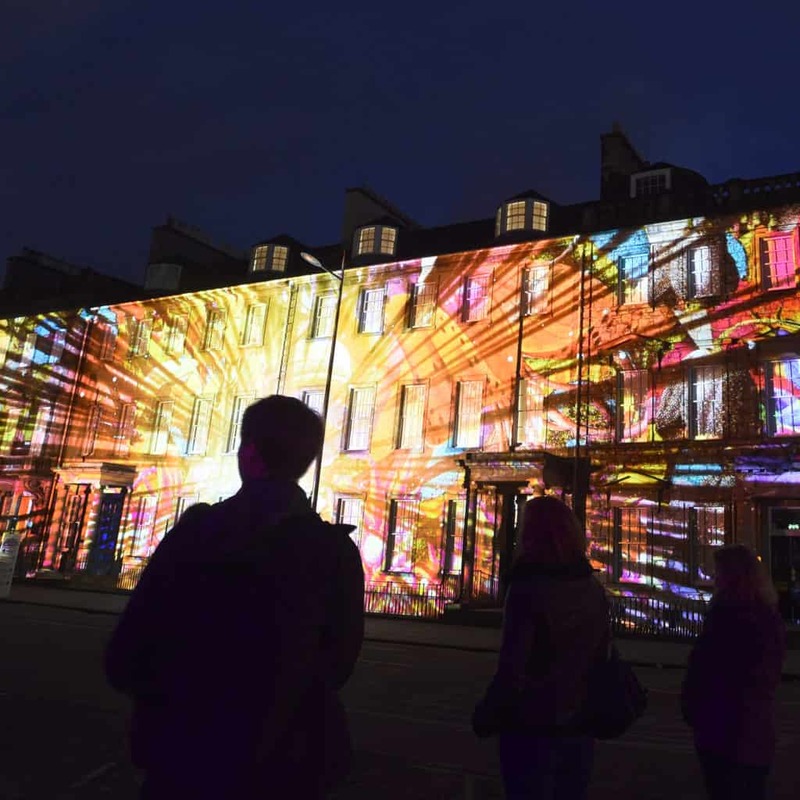 70 years later, Edinburgh has bloomed magnificently as the world’s Festival City, transformed beyond recognition by the International Festival – and its impact has pollinated cities across the globe, propagating new festivals throughout Europe, America and Asia. It has celebrated our highest artistic achievements, our imagination and creativity, our generosity and diversity. 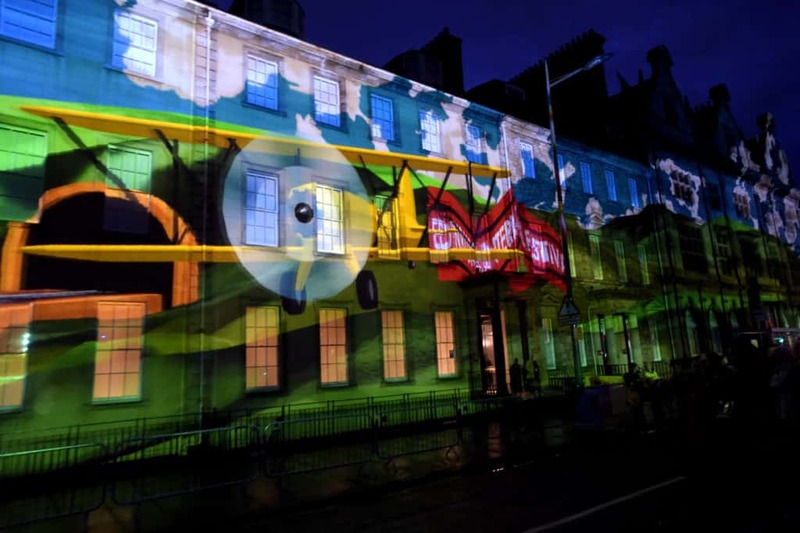 Bringing together light and sound installations, large-scale illuminations and 3D-mapped projections onto Edinburgh’s iconic buildings, Bloom is an epic, outdoor, public art event that celebrates the joyful transformation of the city over the past 70 years, from the darkness and division of the post-war years to today’s explosions of colour and spectacle. 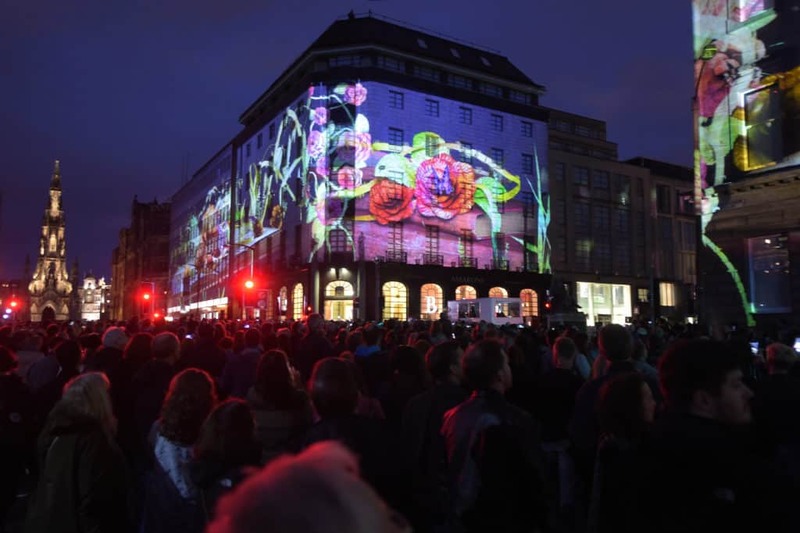 And to mark the International Festival’s very special anniversary, Bloom transforms not a single building, but instead uses the facades around St Andrew Square to create a vast canvas for projection-mapped animations. 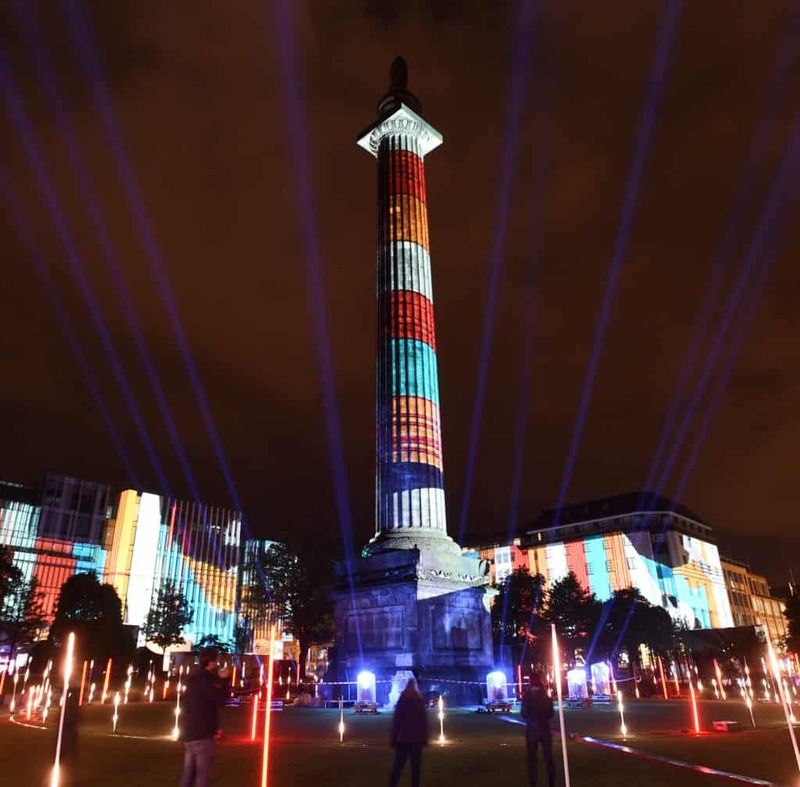 The Square becomes an immersive environment of colour, texture, sounds and sensations that places the audience at the centre of a visually stunning digital constellation. 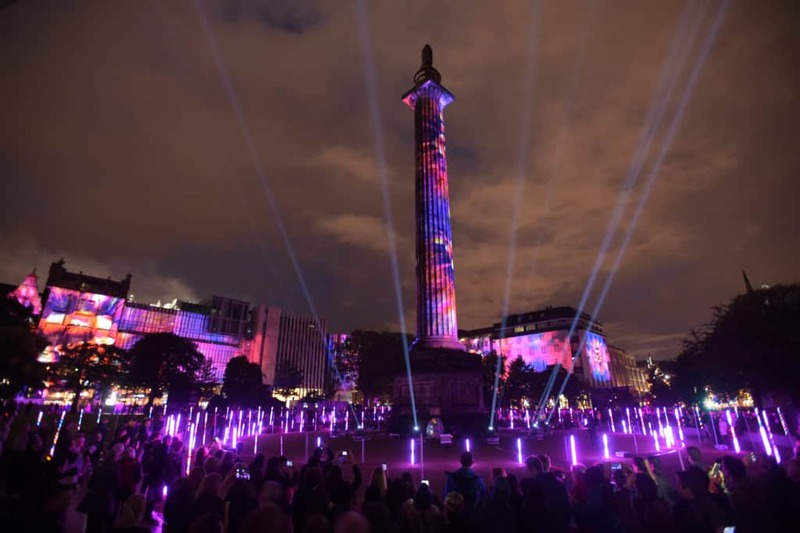 The Opening Event will take place on two nights for the first time, on Friday 4 and Saturday 5 August, giving audiences the opportunity to enjoy this experience throughout the opening weekend of the International Festival. The event runs from 10pm to midnight on a 20 minute loop, allowing audience members to explore it at their own pace.